The Murphy bed goes by different names, and they all describe how it works. Whether you call it a wall bed or a fold-down bed, you have to call it ingenious. 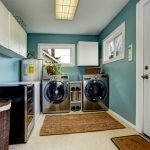 Hidden space is practical, simple to use and fun. Secret places appeal to everyone’s inner child. With today’s innovations in custom cabinetry, storage solutions become clever disappearing acts. 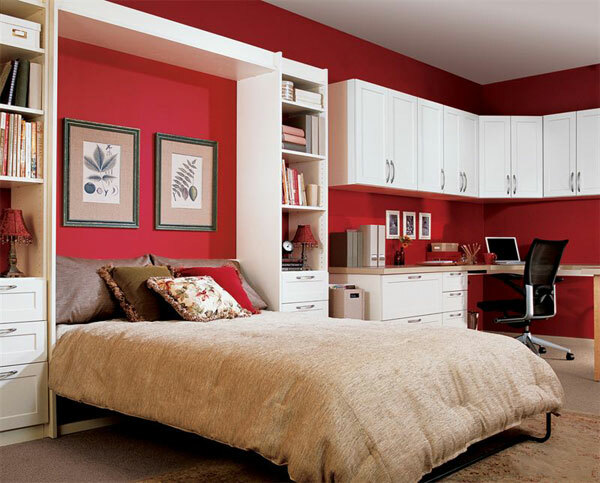 The closet and chest of drawers in your bedroom serve as standard storage, but they’re always too full. 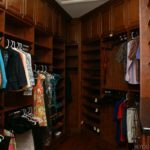 Drawer closets are the latest magic for expanding hidden space. These tall units combine roll-out technology with vertical construction, and their double sides make them as spacious as traditional closets. Built-in wall seating isn’t hidden, but with a hinged top it doubles as extra-deep space. If you’re storing things under the bed, you’re on the right track. Installing pull-out trays gives you easy access to an area you’re already using. These handy floor drawers are always out of sight, and they discourage dust bunnies. Finding extra storage in the bedroom is easy when you think about where not to look. It might be game central or a working den, but this area is full of secret possibilities. Cabinets aren’t just for kitchens anymore. When two counters meet in a corner, you have a nice niche for books, framed photos and favorite collectibles. 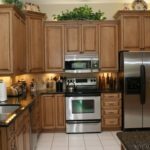 Underneath, cabinets provide plenty of space, but don’t overlook that empty corner between their shelving. All it needs is a round rotating shelf behind a small fold-out door, and you have concealed storage tucked in the corner. Remodeling the family room with custom cabinetry lets you enjoy warm wood tones or decorate with bold colors. It’s also a chance to sneak in a mini fridge cleverly hidden behind a cabinet door. Re-purposing a closet as your desk area lets you close up the office at the end of the day. Your family room is full of expanding ideas in disguise. Bookshelves are mini libraries, stairways are family transportation corridors, and beautifully paneled walls are interior design. These are also some of the best places for hiding your secret storage. 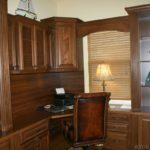 With a little custom construction, those bookshelves over the desk pull out to reveal behind-the-scene trays and cubby holes. Their double-sided design turns dead space into a convenient stash for files and supplies. Apply this same roll-out idea to a stair step, and it’s simple to disguise a drawer underfoot. While these ideas are fun, they also give you a secure place to store small valuables and important papers. Remember that floor-to-ceiling bookcase in the movies that swung open to a secret chamber? You don’t need that much room behind your lovely paneling, but the same design gives you even more hidden storage. 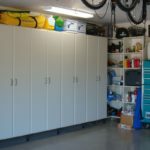 When you look around your home for extra storage space, don’t overlook what you can’t see. Forget about secret safes behind heirloom paintings and fireplaces that swing open to hidden rooms. Custom cabinetry gives you real hiding places under, behind and tucked away in all the obvious places.